Now that Nextor has been published as an (approximately) open source project, I thought it would be interesting to tell the epic story of how everything happened. Consider this post as the sequel to the classic superproduction Nextor: the whole story. Let's see together in Osaka when you come to Japan. What you have done is very interesting. After a few seconds I manage to close my jaw and stop staring at the screen of my phone. Trusting my eyes in order to believe that I had read what I had read took me some more time. So ok, let's talk with the almighty wife to get a list of days without family activities planned while we're in Osaka, let's send this list to Mr. Nishi so that he can choose the day for our meeting, and let's wait. And let's wait... until the last week on June. I write him again saying hum, hey, I'm departing for Osaka in one week, are you still interested in meeting with me? And again, I get no answer. Come on, this can't be happening. Whyyyy? Wow. Wow wow and more wow! This man is a rollercoaster. Ok then. So two days later I grab a backpack with my laptop and go to the hotel to meet my destiny (epic music please). After very nervously waiting for a few minutes that seemed like hours, here we have him... a "dumbphone" attached to a strap hanging from his neck, a Blackberry and a few markers in the pocket of his shirt, and a folder in his hand. Mr. Kazuhiko Nishi himself. After a handshake I tell him how honored and grateful I am for being able to meet with him, then he smiles and says "oh forget about that", accompanying that with a hand gesture that I interpret as "you don't need all that Japanese etiquette with me". Then we sit in a table and order a drink. Before I even have time to say anything else he opens his folder and starts to show me sheets with diagrams displaying some details about the architecture of the new MSX he is working on - that was before he published anything on his website, therefore I knew nothing about that project, so imagine how surprised and speechless I was... then at some point he tells me that he wants me to join the project. Did I say speechless? Add "frozen for a few seconds" too. I must have looked really ridiculous. Everything was sounding like pure awesomeness, but after I was able to speak again I said "Ok, nice, but I know nothing about Arduinos and ARMs and all that stuff". 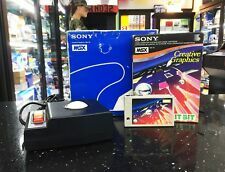 His answer was something like "You knew nothing about computers when you started with your MSX, but you learned, and look at what awesome things you have made". Ok, I must admit I felt quite flattered. But! I had a mission, and finally I was able to say "Hum, can we discuss about Nextor?" So I switched on my laptop, started an emulator and gave him a live demo (nothing really fancy can be shown about a command line OS, but anyway, FDISK and the integrated help are somewhat cool). A very WTF moment was when I told him about the MSX-DOS 2.50 project and he said "What? I've never heard anything about that". Yeah, I know... WTF? The copyright for the MSX-BASIC ROM is still held by Microsoft, and they're asking a royalty of 1$ for every copy distributed. 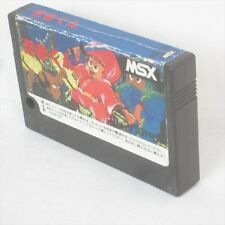 All other MSX ROMs belong to the MSX Licensing Corporation, which I own. And they can be used and distributed freely. In fact I want everything to be open. Then I said the magic words: "So... can I publish the sources of Nextor?" And he said the uber-magic word: "Yes". Oh my. Was it that easy? "...and if someone wants to start another project based on these sources, they must show it to you. If you think it's interesting, you tell me, and I'll grant them permission as well". That's big: looks like the one and only Kazuhiko Nishi really trusts me. I thought it would be a good idea to also tell him a bit about the MSX scene outside of Japan, so I mentioned him things like the MSXDev contest, the MSX user meetings, or the MSX VR Virtualizer project. He was especially impressed by the later and wanted more information, which I committed to getting for him. After that he told me that he's very happy to see how many people got introduced in the world of computers, and even became programmers, thanks to the MSX; and how modern computers don't encourage learning and experimentation, as MSX did/does (something with which I agree). I also told him a high level and summarized version of how I think a new MSX should be: like the classic ones (including the look and feel) but with faster CPU, USB, WiFi and rewritable ROMs (I stated very clearly that this was my personal opinion, not "what the MSX community wants" or the like) and he seemed to pretty much agree with me. For example he said "We need a faster CPU but not as fast as the ones in modern computers. Say, 100MHz or so." In the end it was two very productive hours, which ended with Mr. Nishi telling me that he wanted to meet with me again and have dinner together. We did, the 4th of August and this time in Kyoto at his request (30 minutes from Osaka by train, so not a big deal). In this second meeting I showed him a presentation about the MSX VR project (which I had requested to Alberto De Hoyo, one of the member os the team behind it) and some of the videos available in YouTube that show the thing in action. He then expressed interest in buying one when it goes on sale. The funny thing by the way is that Alberto told me that he had sent an email to Nishi back in 2012, in order to make him aware of the project and requesting him permission to use the MSX ROMs and logos. I mentioned that to him, and he didn't remember anything about that email. He then searched in is inbox... and found the email. He had just missed it. So, kids: don't rely on emails (or on one single email) for communicating important stuff (to Kazuhiko nishi, at least). Oh, and yes, the MSX VR team is allowed to stamp the MSX logo in their baby. Then I went back home with a big smile in my face, and in the following weeks I finished Nextor 2.0.5 beta 1, converted the Nextor documentation for markdown files, and cleaned up the Nextor repository (which was a private one hosted at GitLab) in preparation for publication. I also redacted the text for the license file (I chose MIT and added the additional restrictions) and sent it to Nishi for him to take a look at it and get his approval. Guess what? He missed the email, and a few others I had sent him after that. Finally I was able to indirectly (through his assistant) remind him that I was waiting for his license review to have the Nextor sources published, and he finnaly approved it. By the way another thing he said to me: "I'm sorry [about the missed emails], I receive a lot of emails and some of them are really crazy". So that was it. Nextor is now a (more or less) open source project... and what's even more important: we can freely use and distribute all the MSX ROMs except for the BASIC (shrug), and by the way that includes COMMAND(2).COM and MSXDOS(2).SYS, with official sanction from "the powers that be". Isn't that amazingly cool? I can imagine your face reading this.... ! 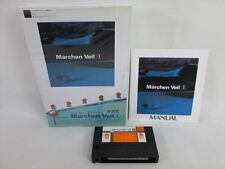 ... and what's even more important: we can freely use and distribute all the MSX ROMs except for the BASIC (shrug), and by the way that includes COMMAND(2).COM and MSXDOS(2).SYS, with official sanction from "the powers that be". Isn't that amazingly cool? What?! Can I share, for example, "Nemesis 3 Enhanced" as a full ROM?? Are you saying that?? No. 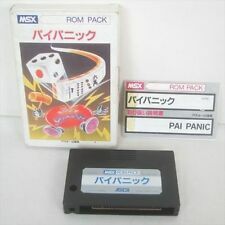 I mean the ROMs whose rights belong to the MSX Licensing Company. Not sure which ones does this exactly include, but I guess BIOS, MSX-DOS (of course), Kanji and the like. No. 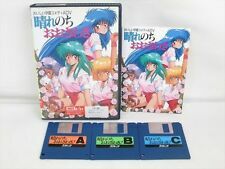 I mean the ROMs whose rights belong to the MSX Licensing Company. Not sure which ones does this exactly include, but I guess BIOS, Kanji and the like. Yes.. Of course.. I've readed again and thought that... Yes... BUt that's a great new!!! Loved reading this! And Nishi is really working on this new MSX. Any more technical info on that, konamiman? Very nice story. I've heard that Nishi has a serious disease and he's under medical treatment, let's hope the best for him. A great responsibility has been placed in your hands! Thanks for sharing those moments. I conclude that C-BIOS has no reason to be and we need a C-Basic now.